A few involved in planning Faith Encounter 2015 are, from left, Ron Coder of Urbana United Methodist Church; Pete Yost of Renewed Strength Church; Lydia Hess, administrative manager of the GrandWorks Foundation; Chuck Glover, pastor of Westville United Methodist Church; and Lisa McKeever, secretary of Westville UMC. Champaign County churches are partnering in “Faith Encounter 2015: Experience the Living Christ” four nights of praise, prayer and worship, Sept. 27-30, to provide Christians of all denominations an opportunity to gather together to renew and strengthen their faith and to invite and introduce others to Christ. Faith Encounter will be held 6:30 to 8 p.m. each of the four days at the Gloria Theatre, 216 S. Main St., Urbana. 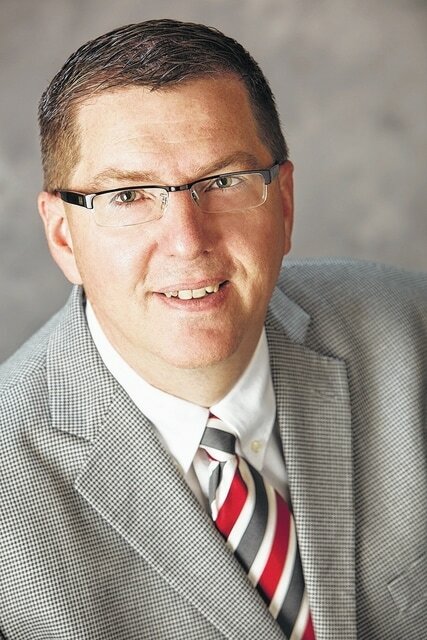 Bert Jones, senior pastor of Woodburn Missionary Church, Woodburn, Indiana, and past president and CEO of GO InterNational, will deliver the message each night. He will be joined by local church pastors as well as Champaign County residents who will share their testimony and musical gifts. Local pastors will be available to talk and pray with attendees after each evening. 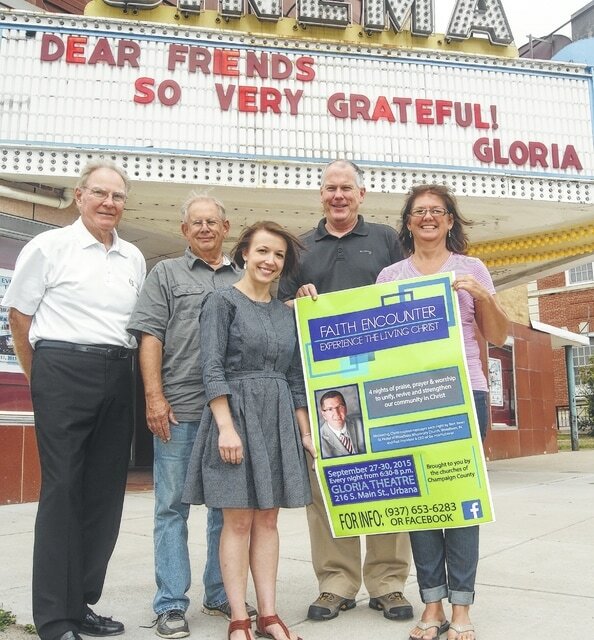 An offering will be taken each night to support Bert Jones’ ministry and the GrandWorks Foundation’s mission to renovate the Gloria Theatre to reach, restore and revive Champaign County culturally, socially, economically and spiritually. Volunteers are needed to help with various aspects of Faith Encounter, such as prayer for the event, greeters and ushers, cleanup, offering, marketing, stage decorations, counseling and healing prayer, cookies and refreshments, and hosting the refreshment stand. To volunteer and for more information about Faith Encounter, call 937-653-6283. For updates, visit and like the Faith Encounter Champaign County Facebook page. https://www.urbanacitizen.com/wp-content/uploads/sites/36/2015/09/web1_Faith-Encounter-in-front-of-Gloria.jpgA few involved in planning Faith Encounter 2015 are, from left, Ron Coder of Urbana United Methodist Church; Pete Yost of Renewed Strength Church; Lydia Hess, administrative manager of the GrandWorks Foundation; Chuck Glover, pastor of Westville United Methodist Church; and Lisa McKeever, secretary of Westville UMC. Submitted on behalf of event planners.